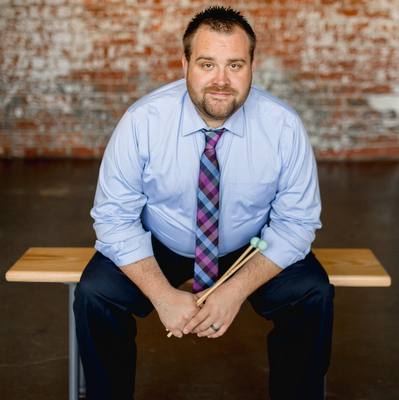 Brady Spitz is a Houston-based percussionist and educator, currently leading the percussion studies at Houston Baptist University. Equally at home in the concert hall, on the recital stage, and behind the drum set, Spitz is the former principal timpanist of the Acadiana Symphony Orchestra and has also appeared with the Houston Symphony, the Hawaii Symphony, the Houston Grand Opera, and the Louisiana Philharmonic Orchestras. Currently a doctoral candidate at Rice University, Mr. Spitz also holds a Bachelor of Music Performance in Percussion from the University of North Texas and a Master of Music in Percussion Performance from Louisiana State University. He has studied with Matthew Strauss, Richard Brown, Mark Ford, Christopher Deane, Ed Soph, Dr. Brett William Dietz, and Jim Atwood. Additionally, Spitz is a nationally recognized educator in his various roles throughout public schools in Greater Houston. He is the former front ensemble director and co-designer for the Northshore High School Indoor Percussion Program, a World Class Finalist at the 2014 WGI World Championships in Dayton, Ohio. He is also an accomplished private instructor and clinician, consulting with several concert and marching percussion programs in the city. His students find consistent success in All-State band and orchestra, solo competitions, and frequently go on to some of the most competitive collegiate music programs in the country.